No matter the type of online business or blog you decide to start, your number one asset online is your email list. Why? Because you control your email list. You don’t own your followers on social media; the social media platform owns your account and your followers. When you collect a customer’s email address, you now own the right to communicate with that customer as long as you collect and handle your communications in a legal manner. If that sounds a bit strange to you, that’s okay. It wasn’t an intuitive concept to me either. Let’s break down what I mean when I say “email list” and talk about how you are going to capture a loyal following through collecting email addresses. 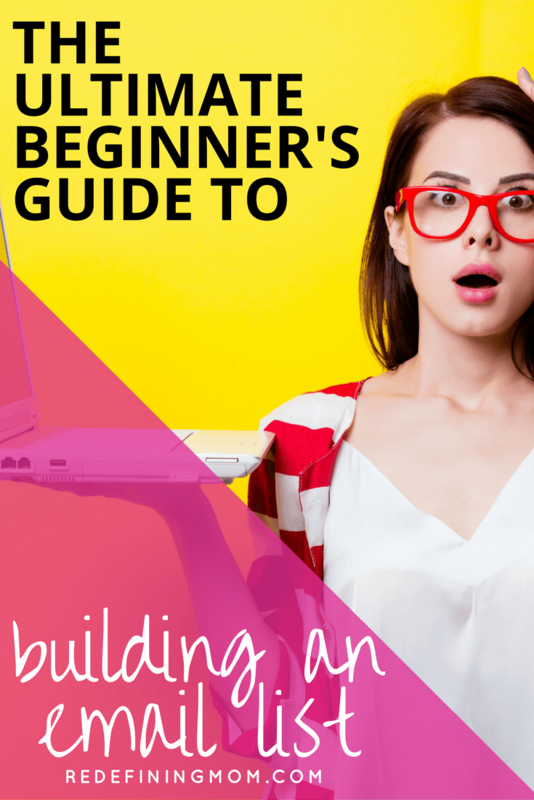 This post is part of my Ultimate Beginner’s Guide to Building an Email List. 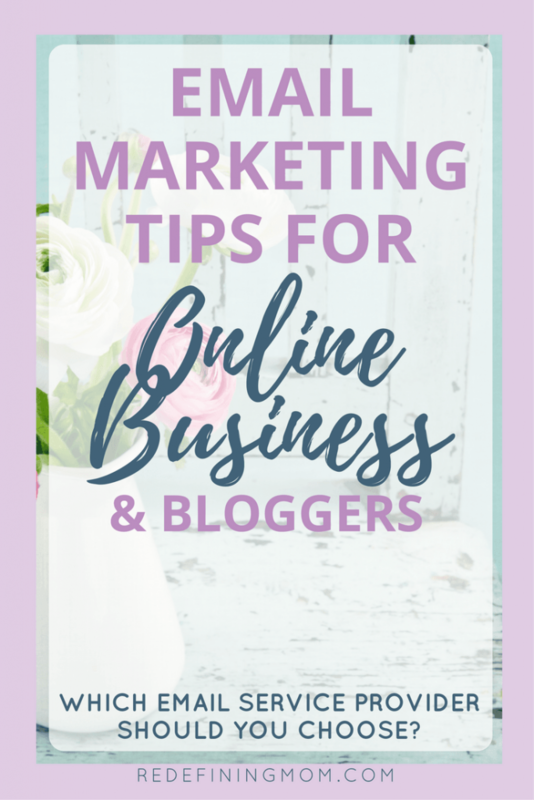 Email Marketing Tips for Beginners <– this post! I am going to lead you through everything you need to know to not be “that person.” You know, the person who spams the heck out of our email boxes. We’ve all been there. Don’t let that spammer be YOU! Do I really need an email service provider (ESP)? Can’t I just use my Gmail account? Yes, you do—and no, you can’t! You absolutely cannot send mass emails out through your Gmail, AOL, or domain email address. NO, NO, NO! Let me repeat: you cannot compile a list of email addresses from people, import them into your personal Gmail account, and send them an email. Let’s break this down. You own a local coffee shop that makes amazing coffee that you sell online. When customers come into your store, you ask them to leave their email address for future promotions. You must also ask them to verify that they are approving you to email them on a regular basis. The email address can either be automatically added to your ESP (depending on the system you have set up) or you can manually add it to your ESP. But you cannot take that email address, add it to a mass distribution list in Gmail, and start sending promotions. So, what is an ESP? Why do I need an ESP? An ESP is similar to your website hosting company. An ESP provides a server that houses your email list and sends out your mass email distributions. You need an ESP to ensure you are complying with CAN-SPAM laws. What is CAN-SPAM and how does it impact my email marketing strategy? You can read all about CAN-SPAM directly from the FTC: Candid answers to CAN-SPAM questions. Your company must be clearly identified as the sender (or you as a person must be if you are the company brand). Your physical address must be present in the email. You must include a way for subscribers to unsubscribe from your email list in every single email that you send. You have 10 days to follow through on unsubscribe requests and remove the email address from your distribution list. Every good ESP does this automatically. ESPs provide all of these services plus so much more! 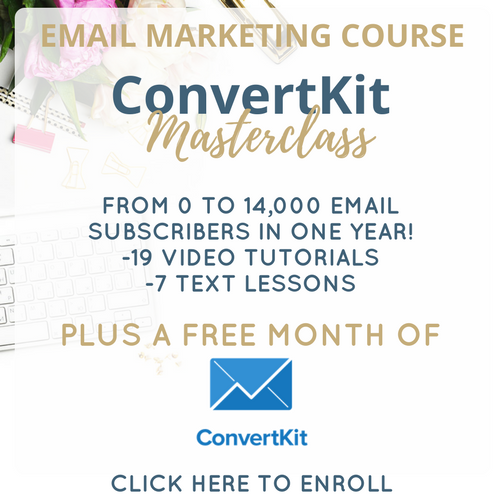 As we dive into email marketing you will see the power of setting up sequences and automation triggers, something you could not do by using Gmail. Many ESPs offer a ton of functionality—from professional email templates to Google Analytics and e-commerce tracking options. The main point here is that ESPs make sure you are obeying the law! There are hefty fines involved for not complying with the CAN-SPAM laws. Can I send a personal email to a customer? Absolutely! CAN-SPAM does not prevent you from building relationships with people and engaging in normal email conversations. A good way to look at using an ESP is that anytime you are sending a promotional email or mass distribution email, you should use an ESP. Anytime the communication is not specific and unique to that person, use your ESP. Which ESP should I start with? This is a great question! 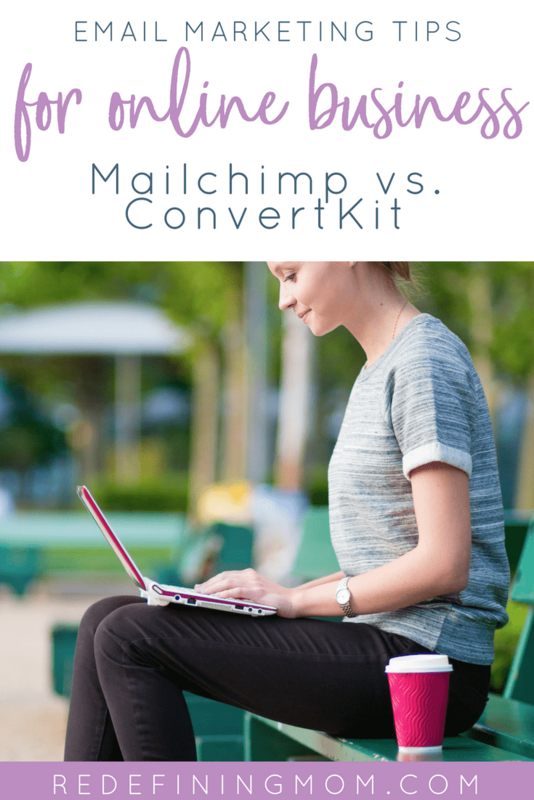 There are many options out there, but I am going to focus on two: MailChimp and ConvertKit. MailChimp is extremely popular. Many small businesses and entrepreneurs start out using MailChimp and have thriving email lists. You can use MailChimp for free with up to 2,000 subscribers (not including automation features). The price point makes it an appealing option for new business owners. ConvertKit plans start out at $29/month for up to 1,000 subscribers, and their particular target market is bloggers. Bloggers tend to have a need to create multiple email sequences and sales funnels. This requires robust automation features. So, which one should you start with? It depends. (Ha, that helps, right?) Let me tell you what I did. About a year ago, ConvertKit really started gaining steam, especially in the entrepreneur and blogger world. Before that, MailChimp was a very popular option, especially for new bloggers or entrepreneurs that need a free/cheap alternative to managing emails. When you sign up for MailChimp, you can collect up to 2,000 email addresses for free. Their automation plan starts at $10/month. An example of automation is when someone signs up for your list and automatically receives a welcome email or a series of welcome emails. If you decide to invest in MailChimp, I suggest paying that $10 a month so you can set up an automation series for your subscribers. 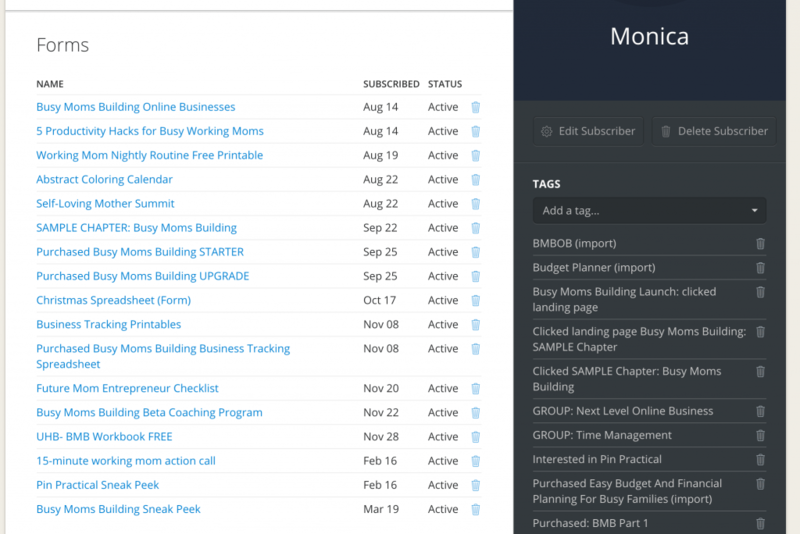 Lists in MailChimp are where you house the people that sign up for your email list. In order to differentiate how someone joins your email list, you have to start a new list. What does this mean? Let’s say you have multiple ways for someone to get on your list such as an everyday newsletter and you also have a free email course. In order to know the opt-in that the customer signed up for, you’d need separate lists. On the surface, there’s nothing that seems bad about that, except you’re actually going to end up paying for a single email address more than once. The reason I chose ConvertKit over MailChimp is because I have multiple ways that I want to be able to segment people on my email list. ConvertKit uses a functionality called forms. Forms are how you get people on your email list. For each opt-in offer or product, you will create a form. The form is what either gets embedded on your website or, in my case, connected to my LeadBoxes. LeadBoxes is a way to collect email addresses using LeadPages. For my free course, Busy Moms Building Online Businesses, I have two different forms in ConvertKit. I have one that’s on my home page that is an embedded form. I also have a landing page with LeadPages that I connect to a ConvertKit form. I connect both of them to the same sequence. A sequence is the same as automation in MailChimp. A sequence is the automated email series that starts after someone joins a form. Every time someone signs up using a different opt-in on your website, they are tracked under the subscriber tab in ConvertKit. Each email address only exists one time in ConvertKit. This means you only pay for each email address one time—a huge benefit of ConvertKit over MailChimp. Right now ConvertKit starts at $29 from 0 to 1,000 subscribers. MailChimp offers the first 2,000 subscribers for free. Keep in mind, subscribers could be duplicated over different lists and it doesn’t include automation. Automation starts at $10/month for up to 1,000 email subscribers. There’s no doubt that MailChimp is a cheaper alternative to email collecting in the beginning. Once you start collecting a decent amount of emails their pricing tiers end up evening out. #2 How many ways will someone be able to opt-in to your email list? For example, are you a small business and you only need one main email newsletter list and you plan on keeping your list size small? If that’s the case, MailChimp would probably be the better option for you. For most bloggers and most online entrepreneurs, we need to be able to tag people, segment people, and have them sign up in various different ways on our emails. I recommend ConvertKit for the majority of online business owners and bloggers! Great post. You have just made things so easier. I am using mailchimp free version so far. 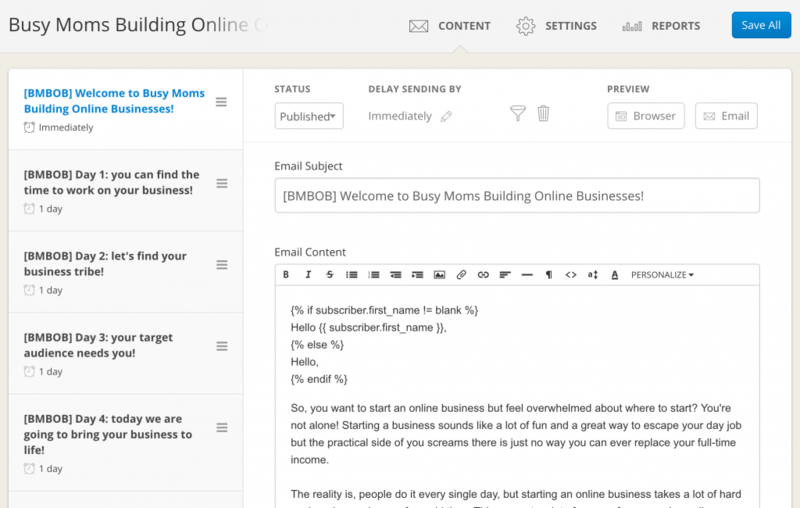 As a beginner I think mailchimp is simply awesome and first 2000 subscribers is free. Thanks for this helpful article.